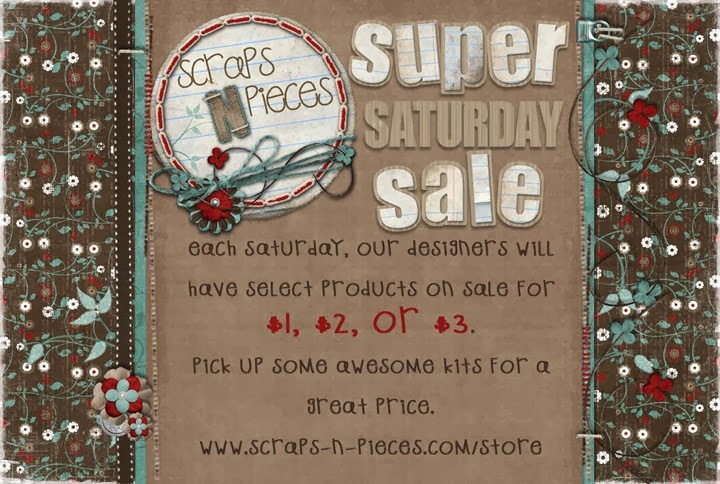 Scraps N Pieces has a Super Saturday Sale going on today! 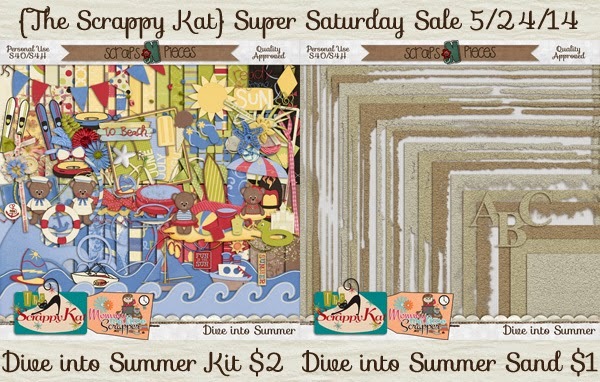 Head over and pick up the "Dive Into Summer" kit for only $2 and the coordinating"Dive Into Summer - Sand Pack" kit for just $1! Summer brings heat and one way to cool off is to play in the water. "Dive into Summer" is full of fun loving bears participating in all sorts of surf and sand activities, like swimming, surfing, building a sand castle, and flying a kite. 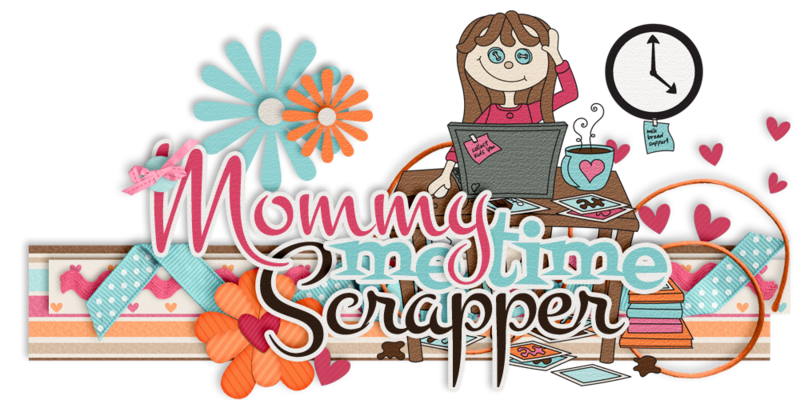 This collaboration kit between The Scrappy Kat & Mommy Me Time Scrapper includes 28 patterned papers, 13 solid papers, and summer-themed elements. The "Sand Pack" contains 3 - 12x12 papers, and 6 edges in 3 different colors. Head on over to SNP and grab it today! It's a Shore Thing - On Sale Today at SNP!